About– The mineral Baryte, or barite, (BaSO4) consists of barium sulfate. 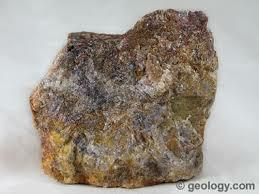 It is often associated with the minerals Anglesite and Celestine. It has also been identified in meteorites. Baryte is generally colorless however it may take on the color of the host mineral. Most baryte is ground to a small, uniform size and used as a filler or extender, before adding to industrial products or as a weighting agent in the mud used in petroleum drilling. Baryte commonly occurs in limestones lead-zinc veins in hot spring deposits with hematite ore.
History – Baryte has a radiating form referred to as Bologna Stone. The alchemists in the 17th century found phosphorescent specimens near Bologna by Vincenzo Casciarolo. The name baryte comes from the Greek word βαρύς meaning “heavy”. The American spelling of barite was adopted in 1959 by the International Mineralogical Association. It was later recommended by the Mineralogical Society of America to return to the former spelling of Baryte in 1978. Location- Baryte has been found worldwide in conjunction with other minerals. Large barite crystals have been found in Nevada in the US, in Perthshire, Scotland; and in many of the following locations: Brazil, Nigeria, Canada, Chile, China, India, Greece, Guatemala, Iran, Ireland, Liberia, Mexico, Morocco, Peru, Romania, Turkey, South Africa, Thailand, UK. It is also mined stateside in Arkansas, Connecticut, Virginia, North Carolina, Georgia, Tennessee, Kentucky, Nevada and Missouri. Baryte with Cerussite is found in Morocco deep in the ocean. 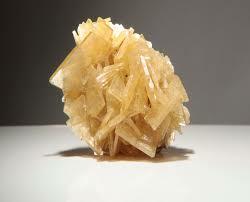 Baryte has oxygen in its sediments and has been used to help maintain paleotemperatures in the oceanic crust. Folklore -Folklore – Metaphysically it is believed that barite helps to heal the Earth. It is said to aide in dreamwork eliminating restraint, enhances friendship, harmony, and love. and Barite is mined extensively as the only source of barium metal and barium compounds. A native American legend states that Oklahoma rose rocks were formed from the blood of the Indians on the Trail of Tears. In fact, Baryte Rose Rocks date back 250 million years to the Permian Period. At that time western and central Oklahoma was covered by a shallow sea. Barite precipitated out of the water and crystallized around grains of quartz sand as the sea retreated. Large formations of reddish sandstone were left behind which contained deposits of rose rock.” (From Wikipedia: Desert Rose). 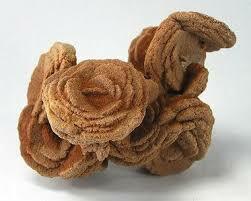 Barite roses are also said to be used to establish a connection to the spiritual realms and in ancestor work. Care & Uses-Historically Baryte was used to produce barium hydroxide for sugar refining, and pigment for textiles, paper, and paint. Baryte is not considered to be toxic but is a “heavy” metal. It may flake or chip and is often fragile and threadlike. Clean by brushing gently with a soft toothbrush. Do not use cleansers as it may damage the crystals. It should be stored in a jewelry bag to avoid scratches, chipping, and general damage to the crystals. It is very sensitive to heat and prolonged exposure to the sun. 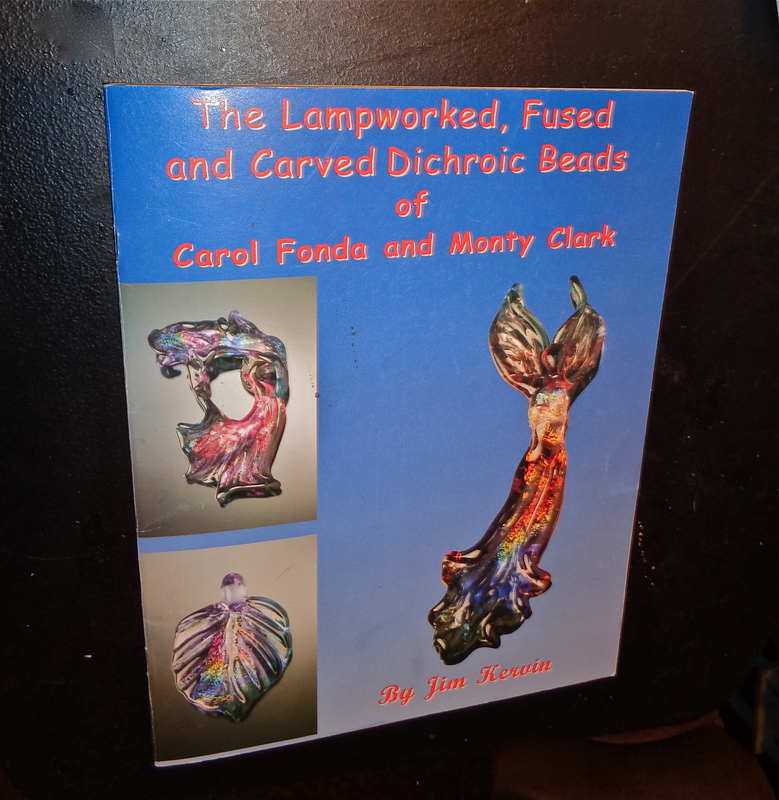 I was across the aisle from Carol and Monty at a show in California where they introduced me to their amazing beads and glass. Monty has taught lampwork at the American River College where he met Carol. 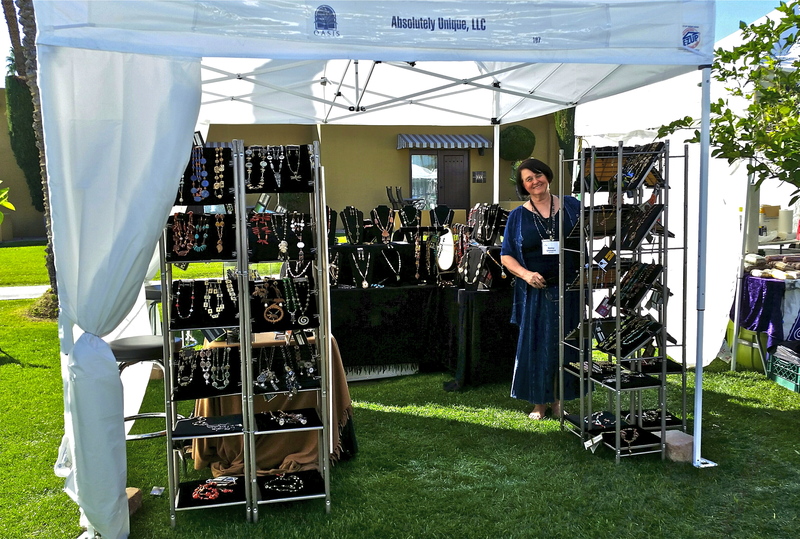 They each have their own style and have amazing glass and beads as well. I have made necklaces with their central flowers and one with a Lola bead. El Pedregal displays rotating one-of-a-kind juried works by Sonoran Art League Artists. The Gallery is open from 11:00 to 6:00 daily with Friday Art Walks, and Saturday Art Parties on the 3rd of each month. This is amazing piece within my Religious Collection has a Fabrége Souvenir Egg. The golden egg has a pretty white crystal cross and a lovely enameled lavender hue. The Cross case opens to reveal a golden angel which dangles down. 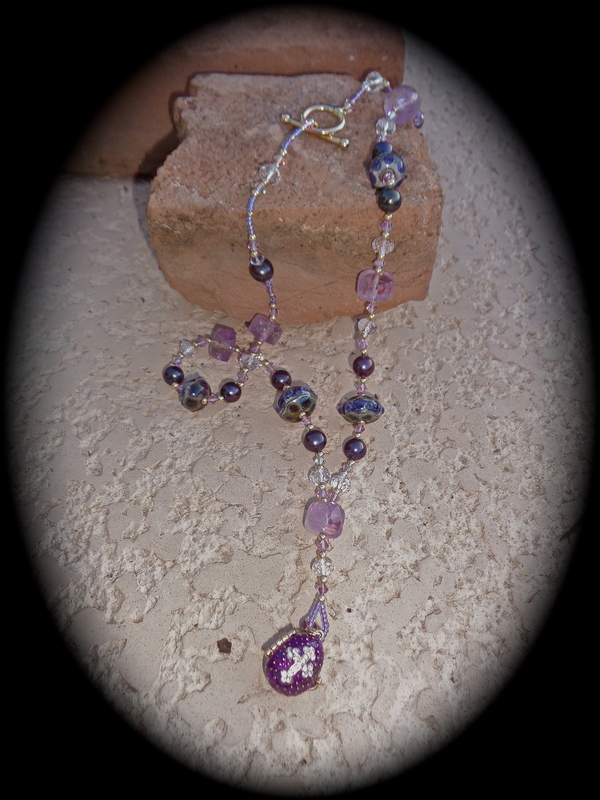 It is complemented by dyed button pearls, hand crafted Lampwork Beads, faceted Rock Crystal, and exquisite Ametrine beads. The Gold-filled clasp and 3mm round GF beads complete this truly remarkable necklace. This lovely piece will be presented and displayed at the Arizona Opera and at the Hidden in the Hills Studio Tour in November 2017 until sold. The length of Hallowed Lilac is 21″. My website or Etsy store sell it at a retail price of $836.00 and it is offered for Wholesale Price of $418.00 at the current shows listed above. 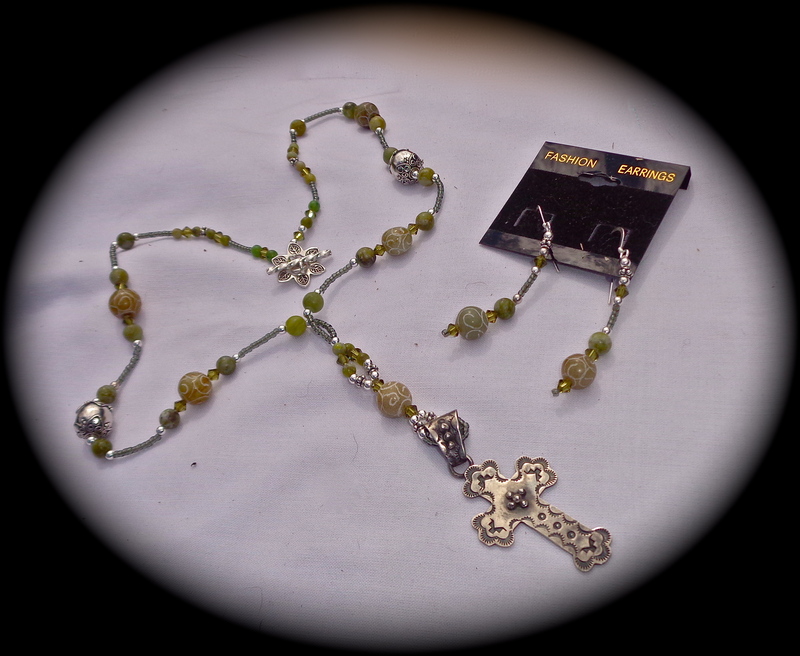 This amazing necklace from my Religious Collection is made of Connemara Marble with matching etched Bone beads and Swarovski Crystals. The Connemara Marble in this necklace was mined in Ireland. The magnificently hand tooled and etched Sterling Silver Cross and bail are signed and stamped. Sterling Silver abounds with 3mm rounds, Daisy Spacers, as well as, amazing Bali and Thai Hill beads and flowered Sterling Clasp. The lovely matching seed beads complement the olive theme. Earrings are included with each of my pieces. This lovely piece is presently being displayed at the El Pedregal Gallery at the Boulders in Cave Creek, Arizona. 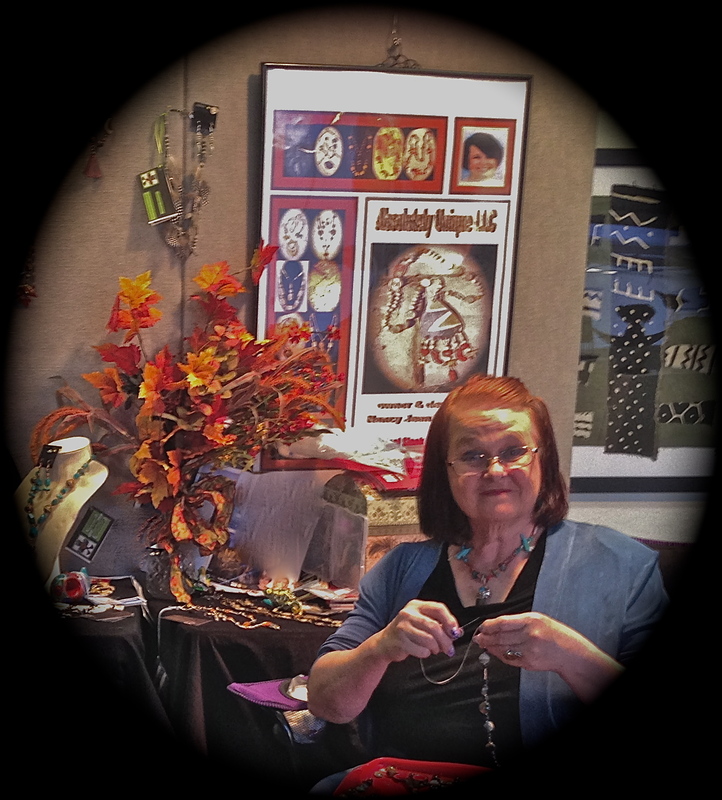 This amazing and little known gallery is associated with the Sonoran Arts League. The length of Celtic Connemarra is 18″. 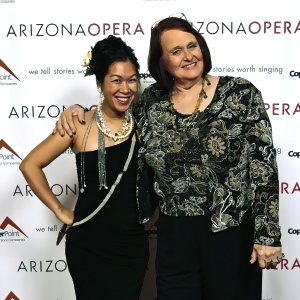 My website and Etsy store sell it at a retail price of $740.00 and it is offered for Wholesale Price of $370.00 in the gallery, at shows, and at the Arizona Opera. Pieces like it will also be offered at Hidden in the Hills Studio Tour in November 2017. 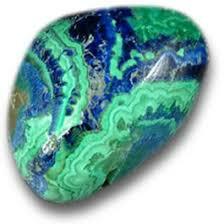 History- For thousands of years Azurite and Malachite have been used in jewelry and ornamental objects. In the Russian Palaces man-sized carved vases were created from both. Catherine’s Palace displays both as gallery objects d’art. Both were often used in the Middle Ages as pigments by Renaissance painters. Location-It is found mainly in copper mining areas and has been found worldwide. 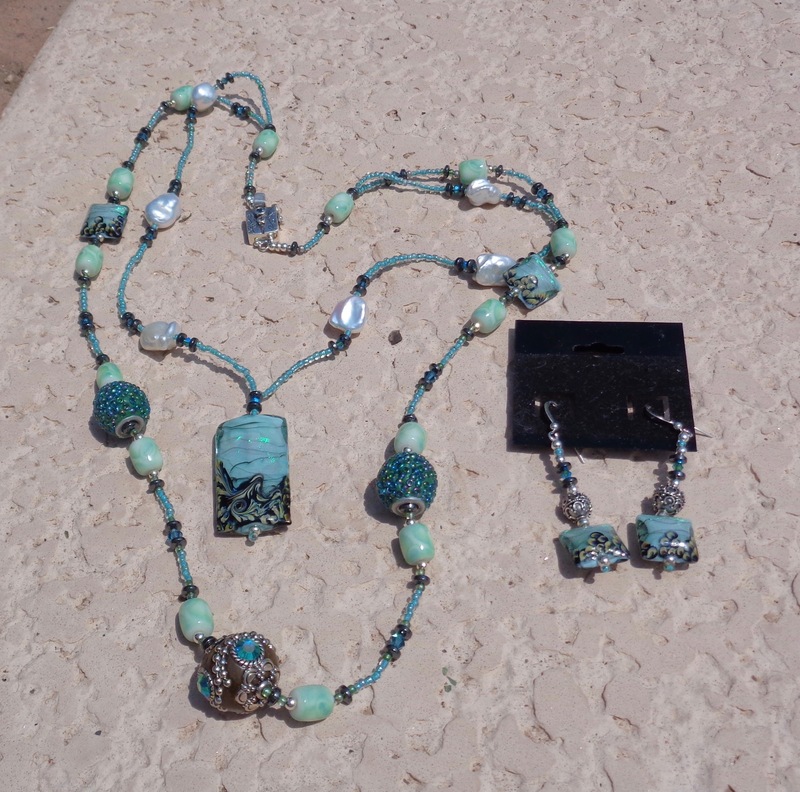 The most outstanding samples of Azurmalachite have been discovered in Australia, Chile, France, Mexico, Morocco, Nambia, Zaire, and the Southwestern USA especially within the states of Arizona and New Mexico. Folklore-It is believed to help in the reduction of anger, promote wisdom, and is purported to have been successful in reducing the pain of rheumatism. Care-It is a very low hardness and in most cases is coated to protect it. Heat destroys Azumalachite turning the Azure into a copper oxide. It will scratch easily and should be stored separately or in a jewelry bag. 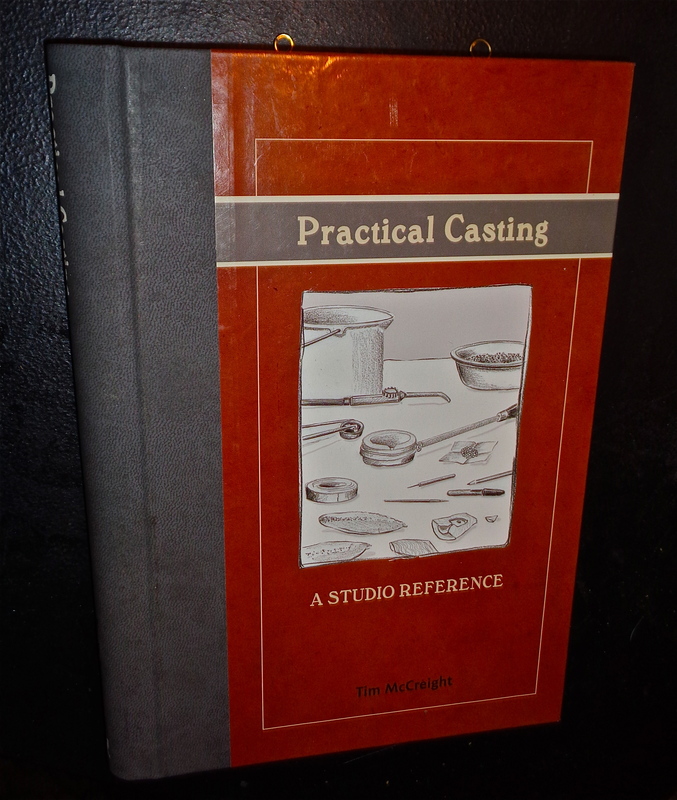 Clean and buff with a soft cloth to return it’s original luster. About-It has a hardness of 3.4-4.0 and is a blue copper mineral. The dark blue Azurite is formed from the oxidation of copper ores. 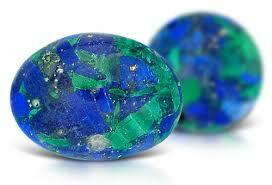 Azurite can form fine crystals. Location-It is found mainly in copper mining areas and has been found worldwide. The most outstanding samples have been discovered in La Sal, Utah; Bisbee Arizona; and new Mexico in the USA. It has also been found in Mexico, Tsumeb, Nambia, Shaba, Congo, Toussit, Morocco, Australia, and many locations in Europe. Folklore-Azurite is often called the “Stone of Heaven” It is believed to unite the subconscious with the conscious mind expanding the limits of our minds like a lantern in the darkness. Care-It is a very low hardness and in most cases is coated to protect it. It will scratch easily and should be stored separately or in a jewelry bag. Heat destroys Azurite, turning it into black copper oxide. Clean with a soft cloth, and buff with a soft cloth to return it’s original luster.